World Tableware's Endurance China is made of a durable, elegant cream white porcelain and features an embossed wheat stalk pattern. 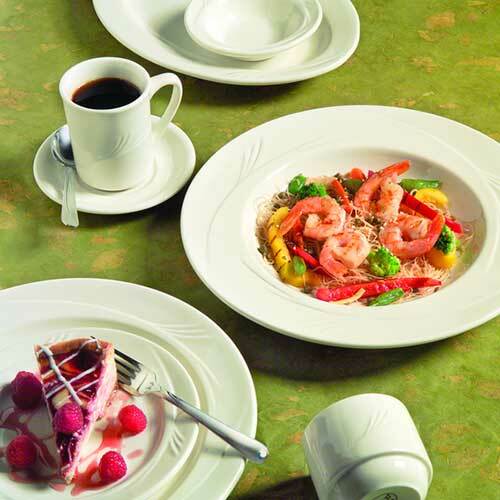 World Tableware's Endurance dinnerware is a perfect tabletop solution for those looking for impeccable style and performance at an affordable price. All World products are rigorously tested to ensure a long service life and reduce replacement costs with minimal chipping and breakage.